The founder and Managing Director of Slade Property Services has been working in Real Estate since 2005. Hugo was the first member of the RICS (Royal Institution of Chartered Surveyors) to set up operations in Myanmar in August 2013. Since then, SPS has grown into a reconizable brand with a significant percentage of market share. Hugo’s experience has focused on the following professional services: Market Research, Development Consultancy and Valuations. 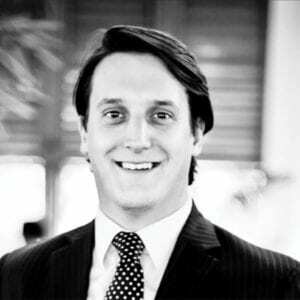 In Vietnam, Hugo was the National Head of Professional Services for Cushman & Wakefield, providing valuations, market research and development consultancy advice to clients from Vietnam, HK, UK, US, Korea, Japan, Australia, China, Thailand and Germany. In China, Hugo was an Associate Director of Industrial Consultancy, working on the site selection and market entry for major industrial clients such as Novartis, Boots Pharma, ABF, Volex and Honeywell. In the UK , Hugo passed his APC qualification as a Cushman & Wakefield graduate. During his four and a half years with C&W in London, he worked for major banks performing loan security valuations, for major developers and local government providing development consultancy advice of major urban regeneration projects such as Liverpool One and Swansea City Centre. Myint and Associates Co. Ltd.